Our kitchen is definitely the most used room in out house. When we bought the house, the fact that it was so small wasn’t really an issue. It was just my Better Half and I and so the small space was fine. 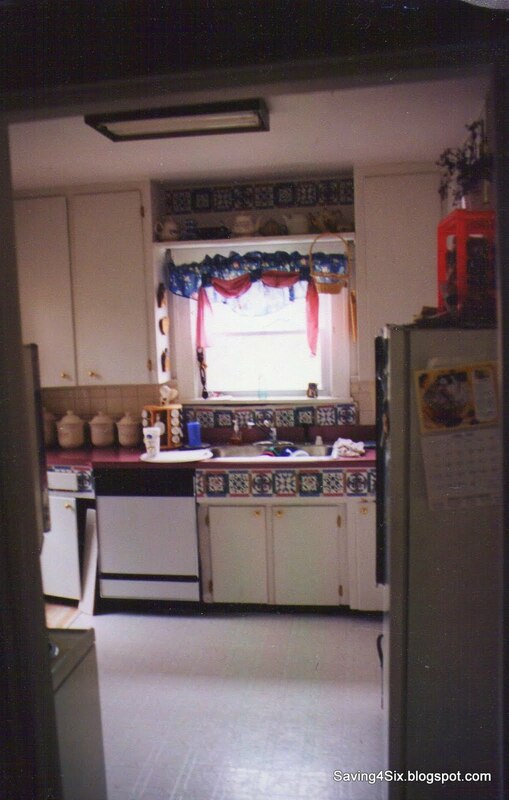 This is the kitchen shortly after we moved in 17 years ago. At this point we had updated the counter top and added knobs to the cabinet doors. We also installed the dishwasher. I can’t seem to locate pictures from before these changes. This is a better picture of our pink counter top 🙂 Here we had upgraded to new Kraftmaid cabinets. We live near the factory that makes them and at one point they offered the scratch and dent or returned cabinets to the community for a fraction of the cost. We paid less than $500 for all new cabinets. Since our family quickly grew from two to six, space became an issue and we began looking for ways to make our home appear bigger and give us more space. We started taking out walls…sounds simple…not so much. We took out the wall between our living room and dining room first and saw that it was very do-able (that’s a future post). So, we decided to try the wall between and dining room and kitchen. If you look past my darling daughter and son you will see the wall that we are taking out. This is demolition day. Our walls were plaster so we were prepared for a big mess. We really had no idea how bad it was going to be!! There were cabinets mounted on this wall. They had to come off before the demolition. This is from the kitchen looking into the dining room. This wall is a load bearing wall so we had to replace the wall with a beam for support. We built a temporary support wall until we could get the beam in place. Check out all the dust in the air…ahhh, good times! The beam is in place and that mess is cleaned. The rest of the demolition and 3 months of chaos was well underway!! Next, we gutted the kitchen. We wanted to put new insulation in the walls. It was EXTREMELY drafty in this old house! This particular wall was not insulated at all! The new insulation has helped our heating and cooling costs drastically. After demolition, things started to get better. The “putting back together” was promising. I began to think that I may be able to quit washing dishes in the tub! This is the placement for the refrigerator and the stove. The stove is now where the sink used to be. I can’t begin to tell you how many times I have poured water on the stove…trying to find the SINK! We laid new laminate flooring, hung drywall, and installed recessed lighting…which I LOVE! We reused our old cabinets but repositioned them for a more practical layout. Repurposing parts from an old pantry, we neatly hid our trash in this DIY rolling, under the counter trash can. While putting cabinets in their new place we ended up with about a 5 inch gap between the stove and nearest cabinet so My Better Half made some little shelves out of plywood. I found these jars at a discount store and I store my flour and sugars in them. We installed bead board on the lower half of the kitchen walls and I LOVE IT!! It looks so clean, classy, and country. The island was a factory, mass-produced island. The top is made of 12 slate tiles which I hand picked and laid myself. It was super easy and I am thrilled with the look. I love having everything right at my fingertips and I’m thrilled with the coffee corner sign. It adds a lot to the kitchen. As you can see in this picture the update of my new ReStore Buffet turned Island, increased the character of the kitchen. Don’t you just love it!? So much better than the factory one!! These are all the changes we’ve made over the past 17+ years. What do you think? I like the new “island” base better, yup! I love the Restore island base! That makes it look so custom to your family. I can’t imagine having to do the dishes for six in the tub! Agh! Glad it’s back together and it really looks great. We’re in the process of re-doing our kitchen too, but we are avoiding taking down walls, electrical and plumbing! I’m not that brave! Simple, Real ,Lovely .Thank you for sharing it. What a blast from the past! Looks great. It’s cute seeing the old pic’s of the kids! I’m jealous of your kitchen, it’s gorgeous! I LOVE to see kitchens from smaller older homes. Your remodel is wonderful! I think you did an awesome job. I like the change out of the island with furniture. What a fabulous renovation. I still love that island. Thanks for linking to Wicked Awesome Wednesday! What a transformation! Your kitchen is beautiful. I saw your post over on Wow Us Wednesdays and had to take a peek! Great Job! 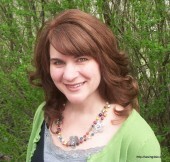 I am a newbie to blogging and your newest follower. I hope you will follow back. Be blessed! Great kitchen! I love before and after pictures. Especially kitchens. It’s like looking back at our old hairstyles. EEK! Very nice island. The more substantial base looks great under your slate counter. Nice work. Wow well done! Great looking kitchen! what a truly fabulous space! i love it’s open concept now. you guys did an amazing job. What a great job. And even more amazing you did it all yourselves! Is that beadboard under your cabinets,I want to do that. Yes, it is beadboard. I sort of obsessed with beadboard… love the look!! What a lot of work, but what fantastic results. Your new kitchen looks fantastic and I love the island you made. You must be so proud that you and your hubby did so much work and that is looks so great. It’s a kitchen that would be a joy to cook in. What an amazing transformation!! You must be very proud! WOW, your kitchen looks GREAT! 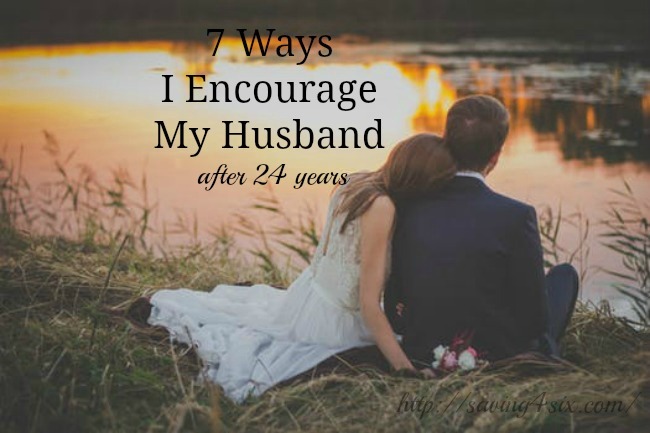 Love all the changes that you and your husband made. Your coffee sign is adorable. I made a coffee sign a while back and I love mine in my kitchen as well. What a huge amount of work! Don't you love the sense of satisfaction of having done it yourself? The finished product looks great and much more functional for a large family. Thanks for linking up to last weeks party. You have been featured today! Stop by and grab a featured button. Hope to see you back for the next Delightfully Inspiring Thursday Party. Wow your kitchen is looking fabulous! You guys are doing a great job! I'd love it if you'd stop by my blog and check out the giveaway I'm having for a Dremel Saw Max! Beautiful Kitchen! I’m so glad I found your blog…I’m a new follower and added your linky party to my “It’s a party” page on my blog…Stop by and visit! In dieser Serie wird und decay that is red kombiniert. Meinen Teil mal getestet Trendsetter genug um nach Jahrzehnten die Worte Mutter zu können, die Rahmen Klamottenkombinationen immer gesagt hat: rosa, pink und decayDas beißt sich! ”. Ergebnis dieses kleinen ist: Bin ich nicht. Ich tue mich immer noch schwer damit. Social intimacy is the sharing time together around life and life cycle events. Being able to make the jail system believe you are slowly reforming is a great idea. You have to make her realized that she needs you back in her life.